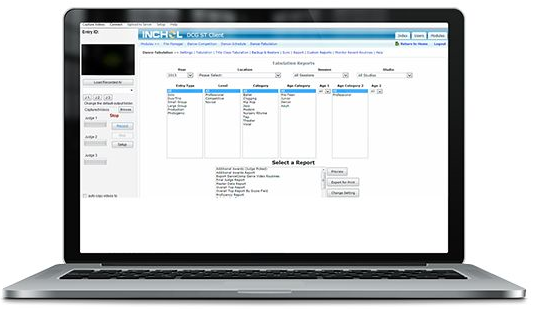 DanceComp Genie Tabulation is the go-to tabulation solution for dance competitions. Judges know how to use it and enjoy its lite interface during long days of event adjudicating. Setup with a single computer or network tablets together for a more streamlined solution. The choice is yours! 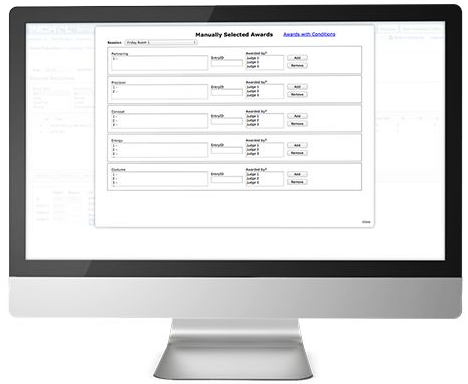 Precise calculations and flexible schedules. DCG Tabulation work with and without the Internet. If can be used inside any venue without fail. Data is stored on the cloud and on your computers database for an instant backup if your computer goes down. Schedules change during a live competition. These changes can easily be managed with built-in tools for placing routines on hold, now, next, or by moving routines around the schedule. You can even add new entries if you’re collecting registrations at the venue. 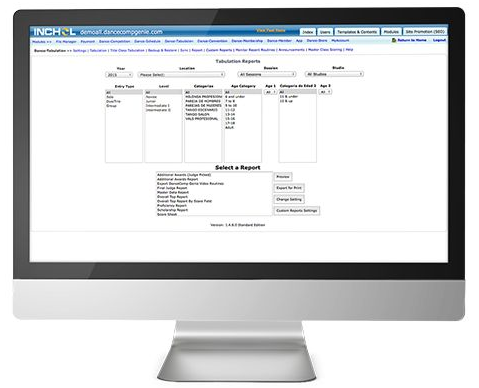 Access over 20 different reports with 1000’s of variations to the content. 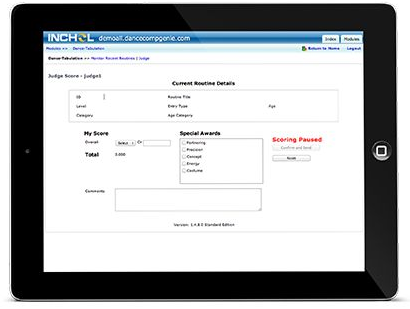 Print score sheets and results directly from the software. 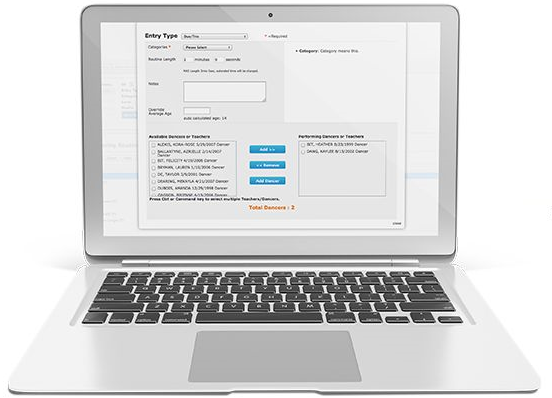 Create and save custom reports to load specific award reports very quickly. Load award ceremony reports on a tablet and announce the results on stage. No more packing paper and printers to the show, just a single tablet. Some awards are score based, and some awards are picked by the judges. Setup many types of awards and manage everything in one place. 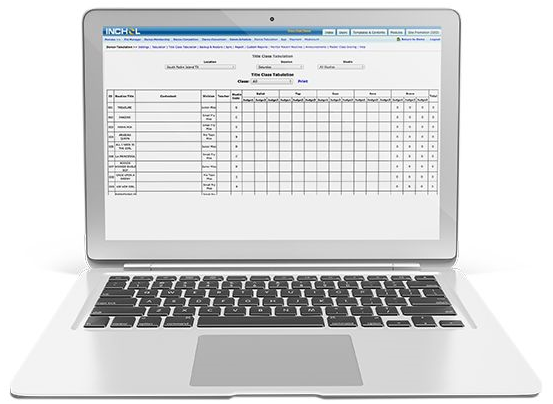 A full system for recording audition and title class scores that combine with solo title performance scores. The data is automatically backed up onto a portable hard drive. If you have any computer issues, simply plug the portable hard drive into a second machine and you won’t delay the competition or loose data. 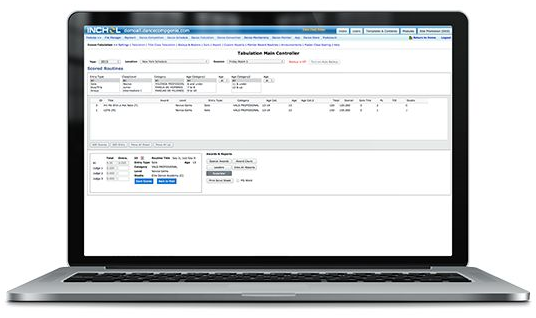 Get setup with DCG Tabulation Plus and record videos with judge comments directly inside the software. The software will handle all of the post-production editing AND send the videos to studios with the click of a button. 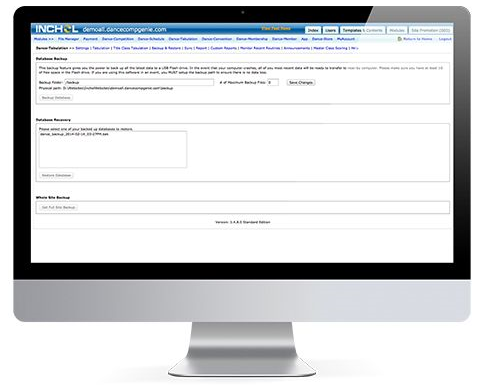 This is the easiest and most affordable way to add video adjudication to your competition.